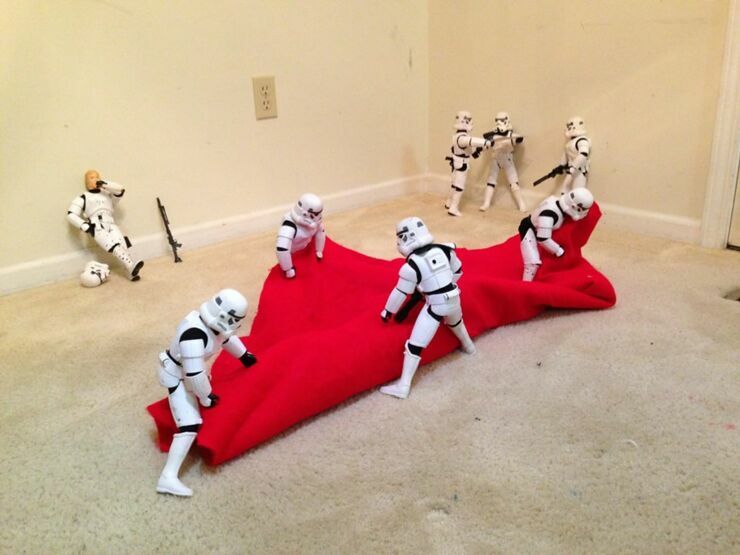 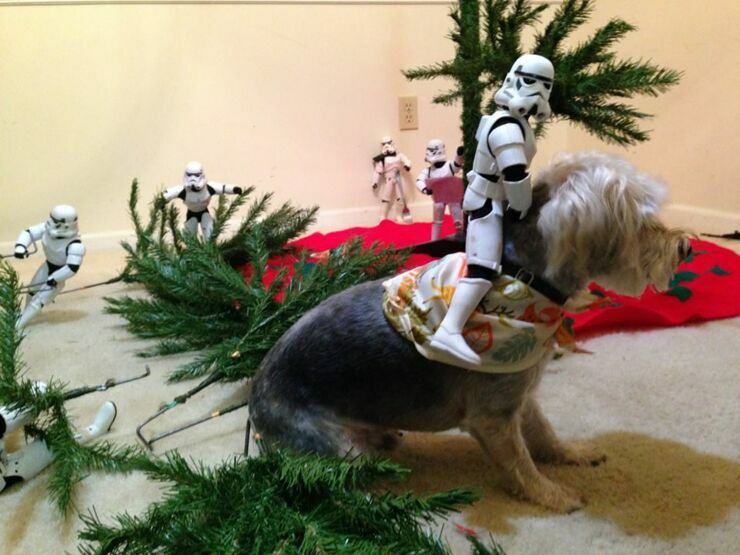 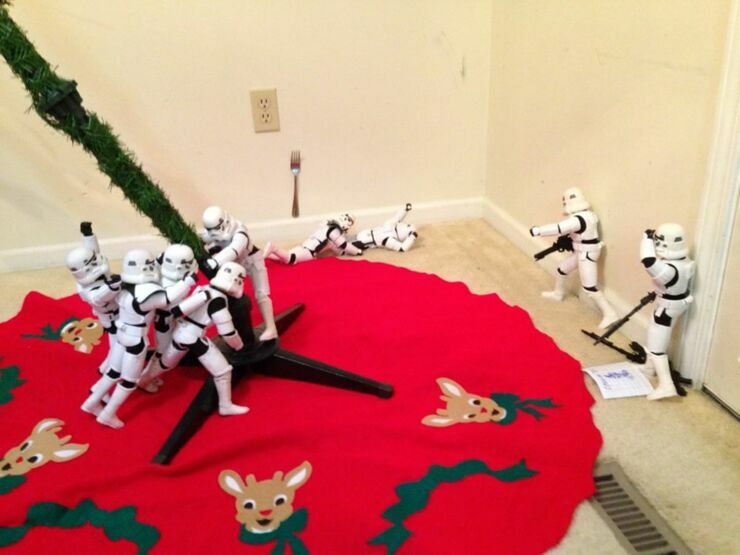 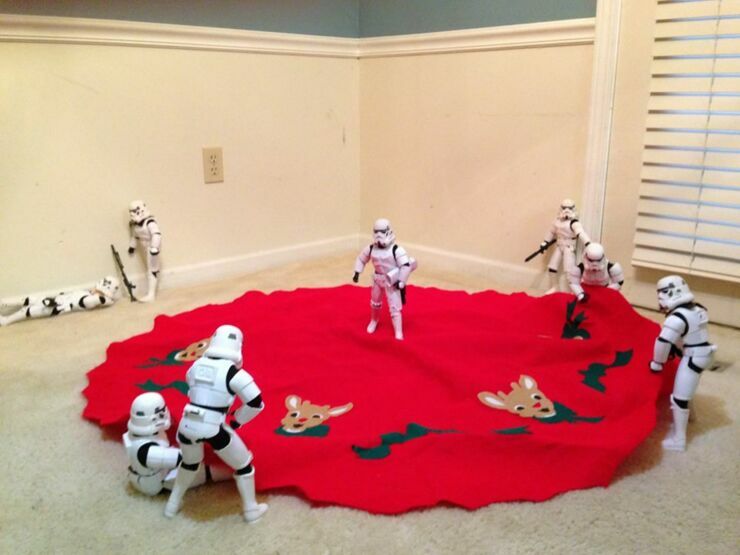 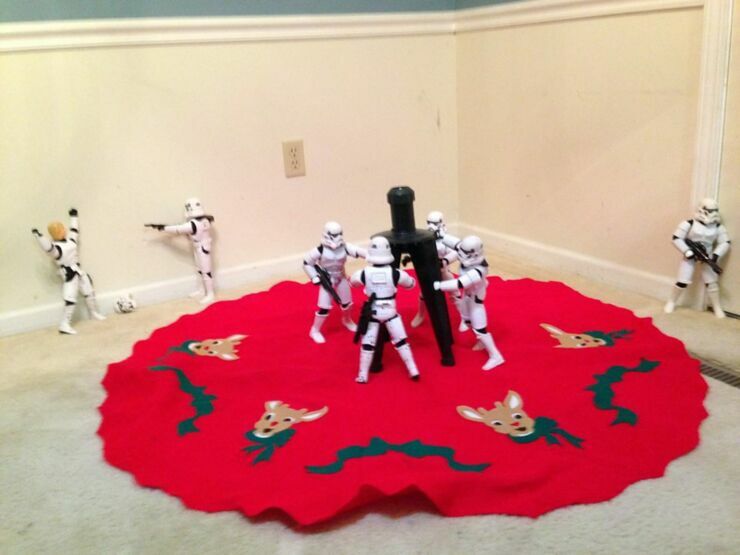 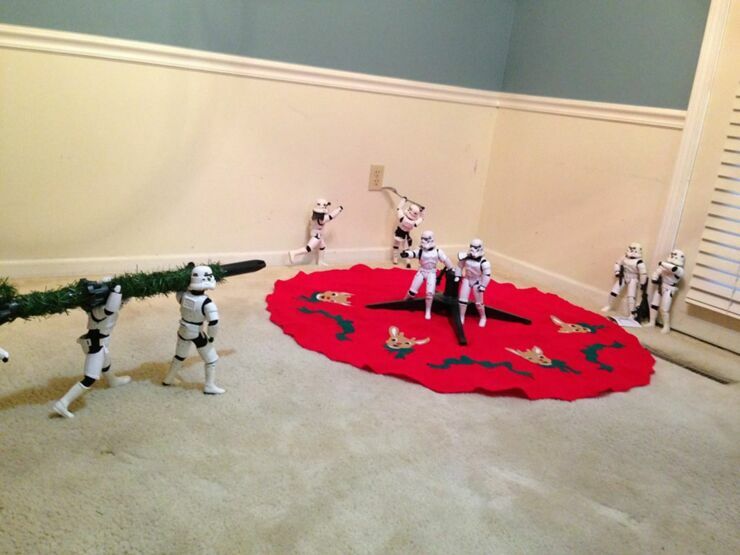 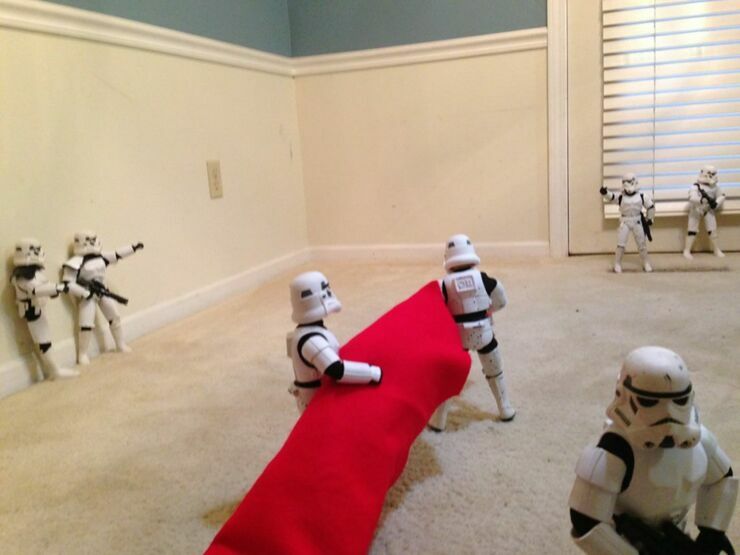 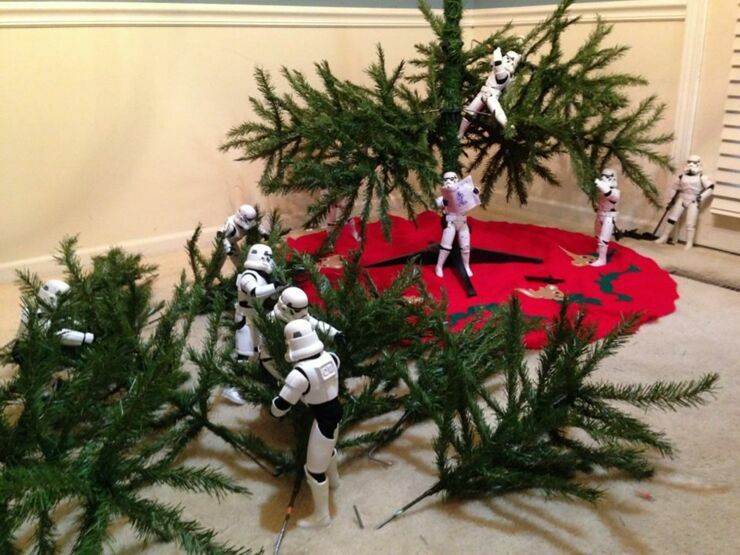 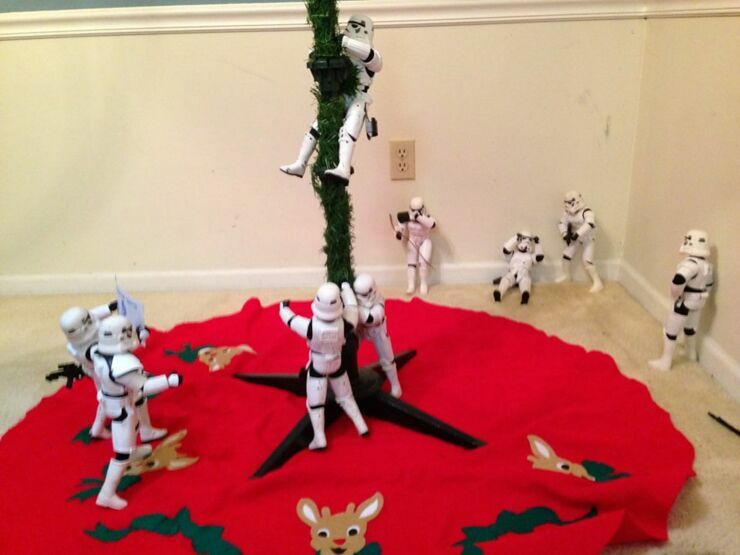 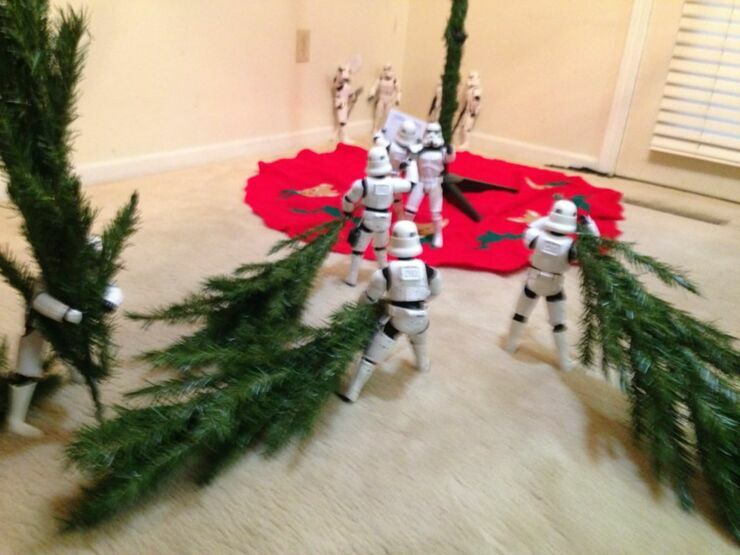 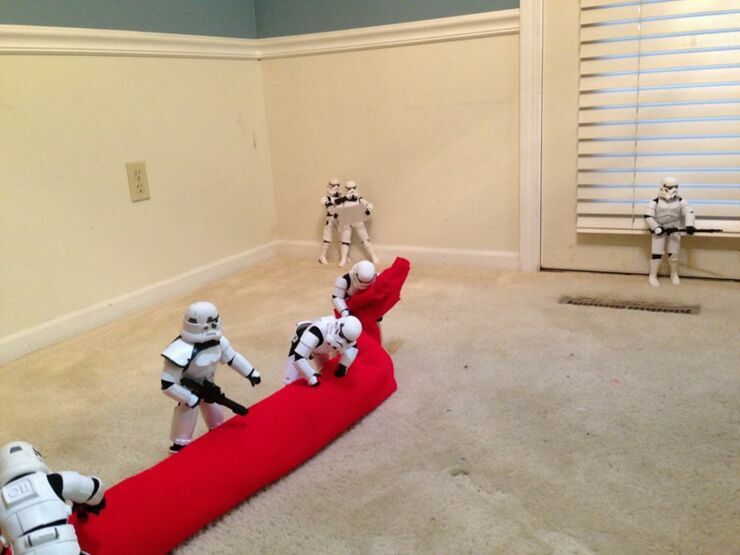 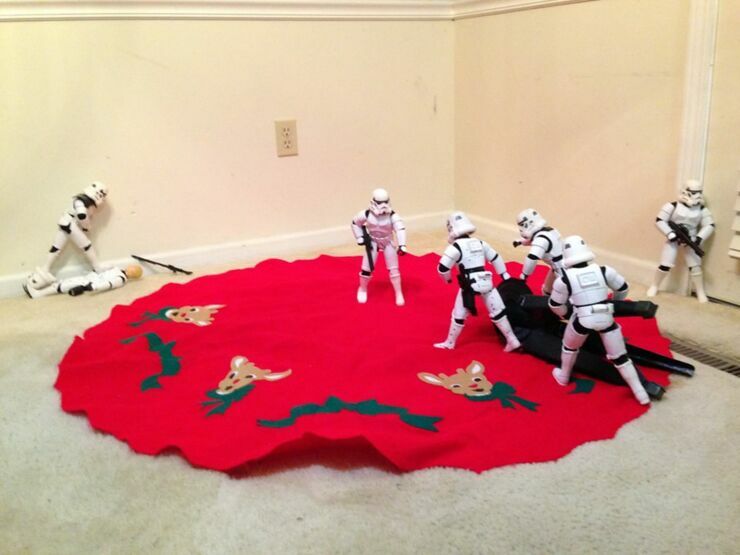 StormTroopers Putting Up A Christmas Tree - A Star Wars Christmas! 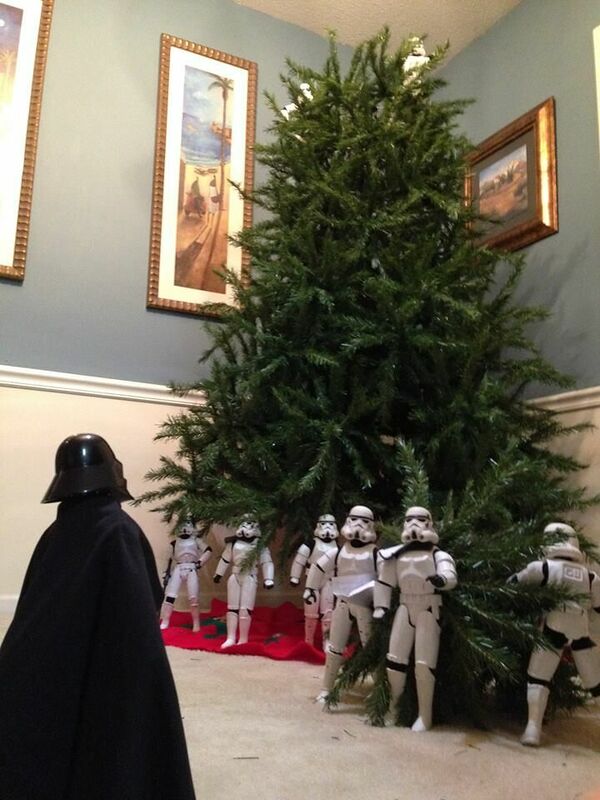 It's December, which means the countdown has truly begun to Star Wars Christmas. 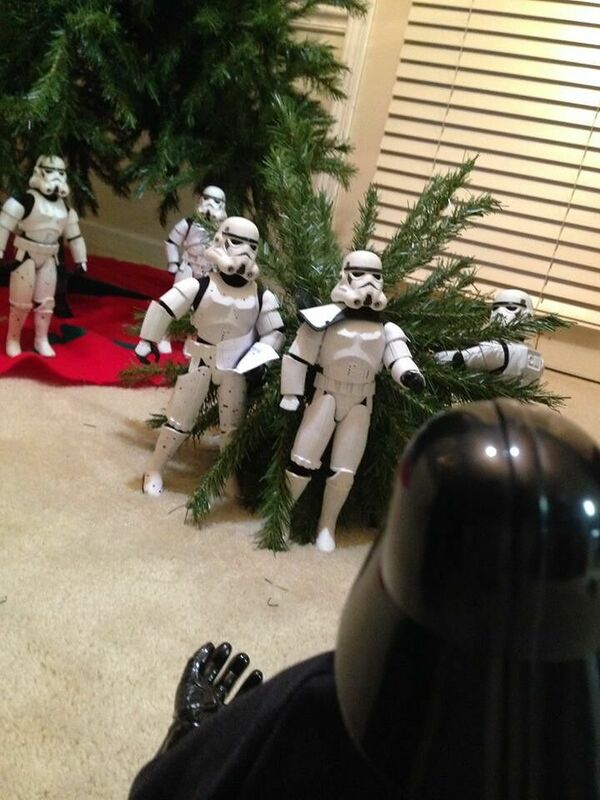 No, not to the holidays (what planet are you on? 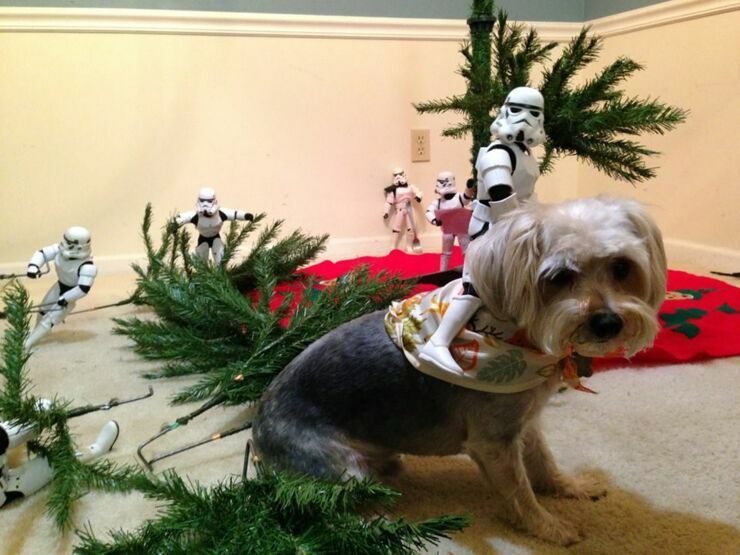 ), but to that much more important event happening this month—the release of the new Star Wars film The Last Jedi in the cinemas on December 15th. 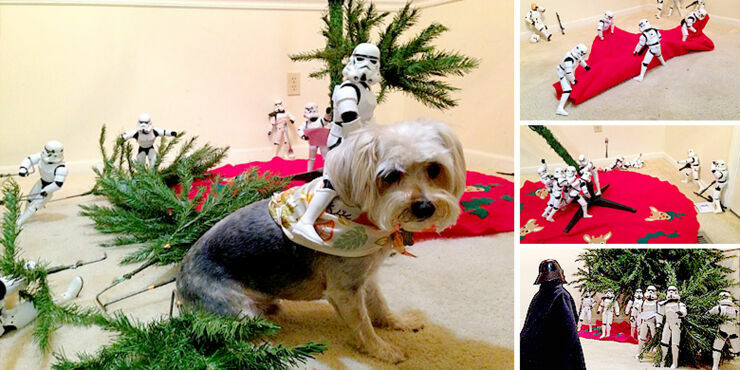 However, if you did want something more festive, but still Star Wars themed, these brilliant photos from fan Kyle Shearrer should do. 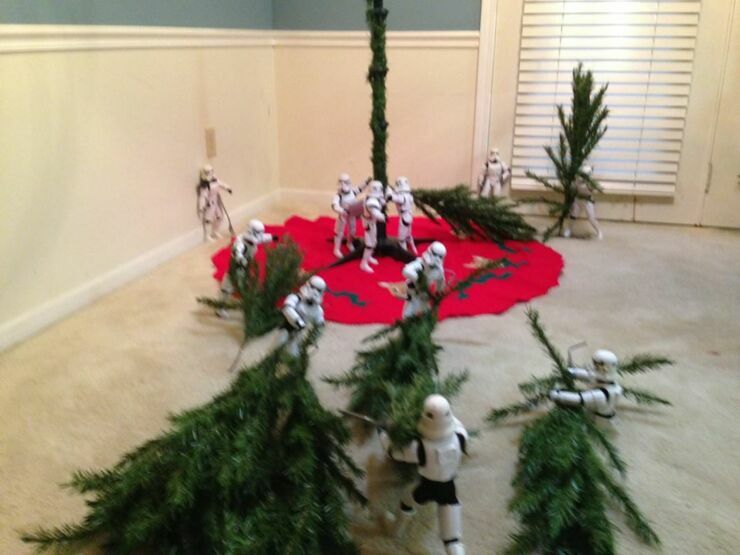 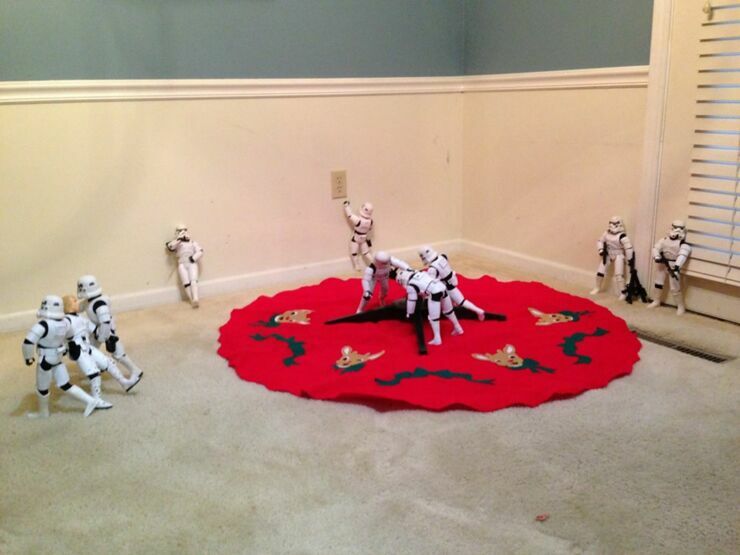 Star Wars Christmas is a hilarious sequence of photos showing toy stormtroopers putting up a Christmas tree. 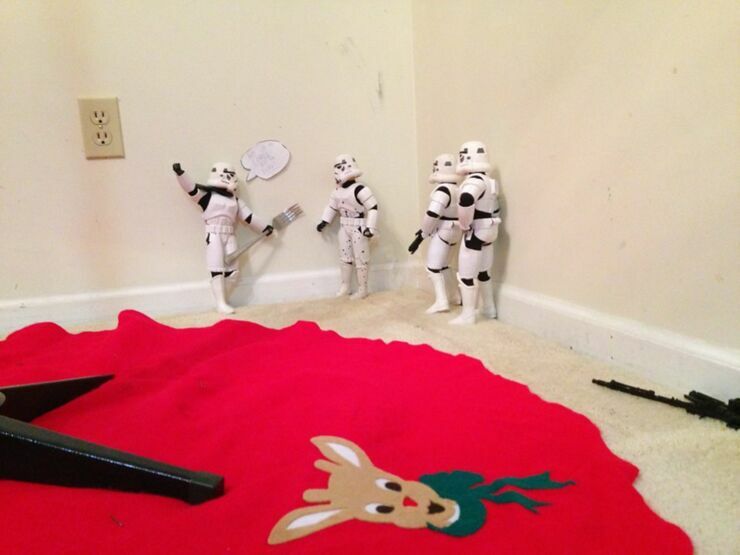 Shearrer and his dad created the scenes, which are full of great background detail like a stormtrooper snoozing on the job and one of them sticking a fork in a plug socket while another runs over in panic to stop him. 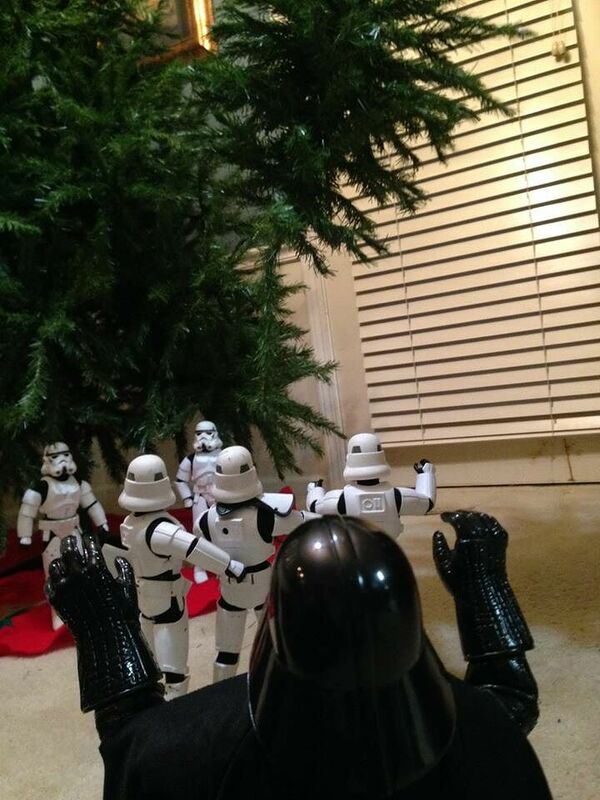 There's even an appearance by Darth Vader himself, who wields the Force to put a plastic branch on. 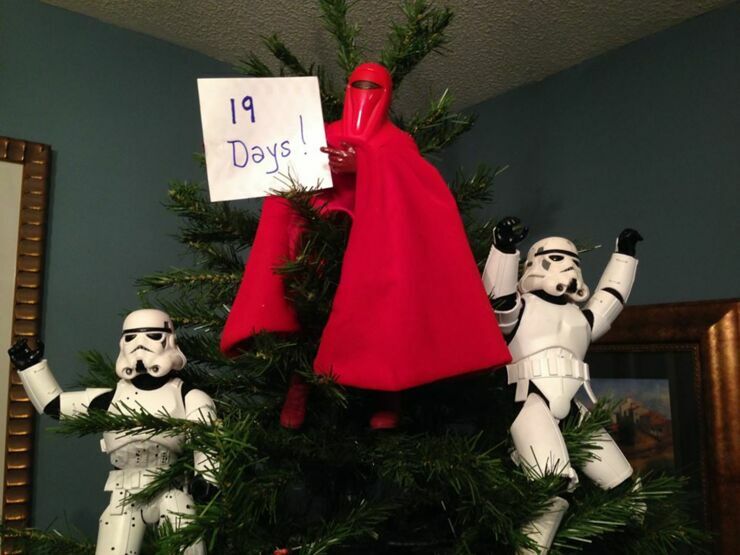 And at the top of the tree there's no star or angel, but a red-cloaked Emperor's Royal Guard with a sign saying "19 Days! 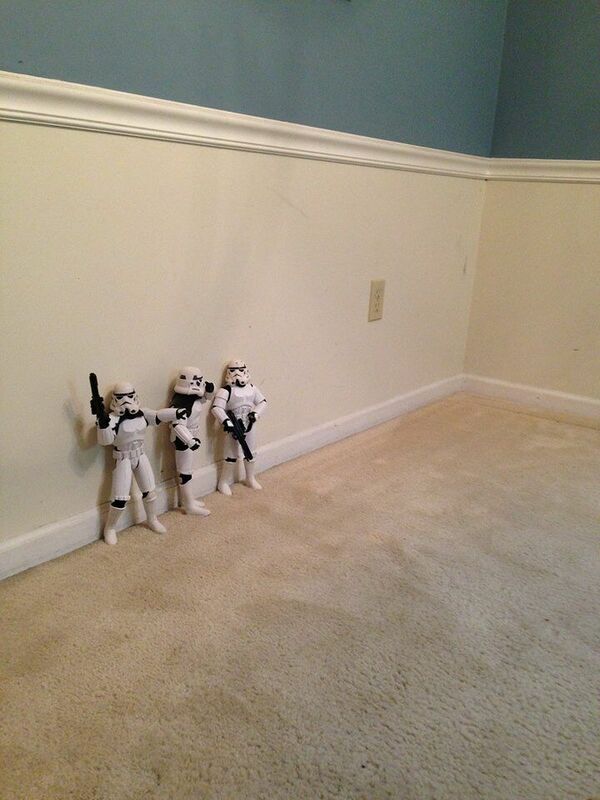 "—the time, when the photos were initially posted to Facebook, until the new Star Wars movie's release. 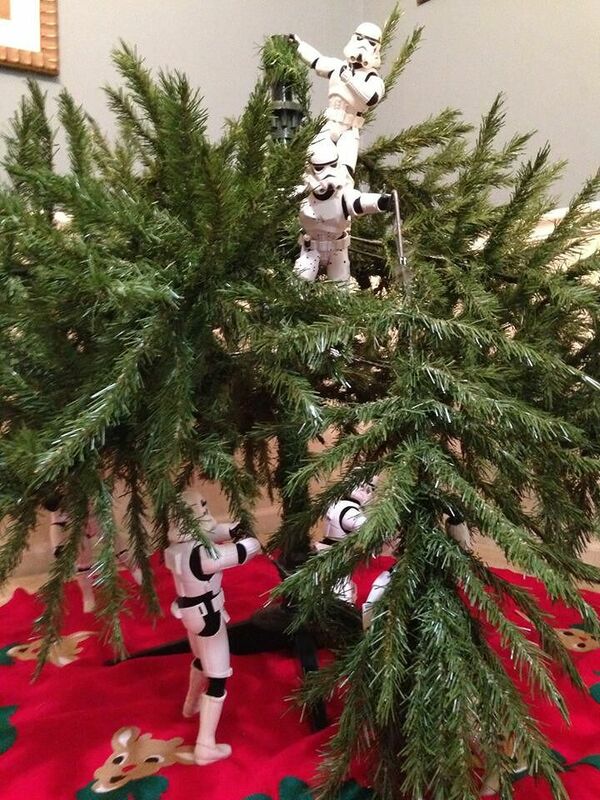 In typical Shearrer fashion Philip Joe Shearrer Jr. and I had a little fun with Stormtroopers and a tree and posted it online. 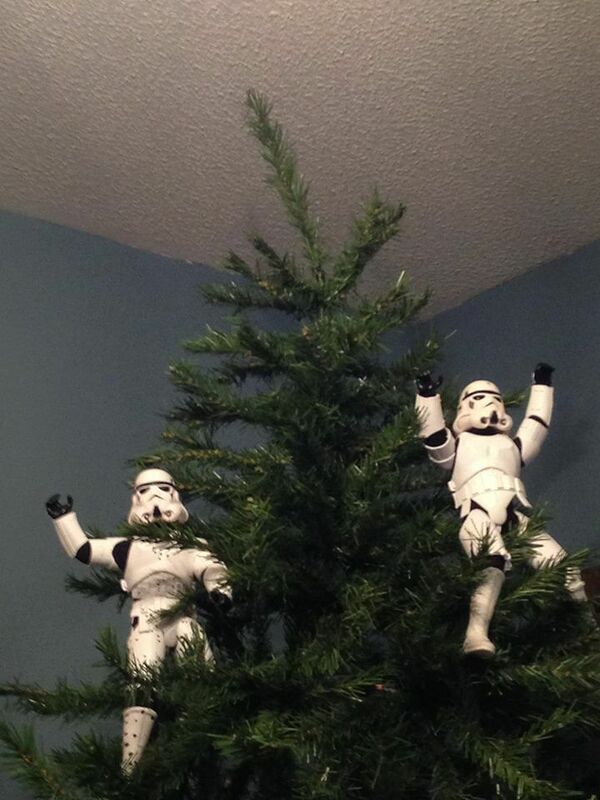 700,000 shares later and were getting messages and comments from people all around the world and journalists are asking for interviews. 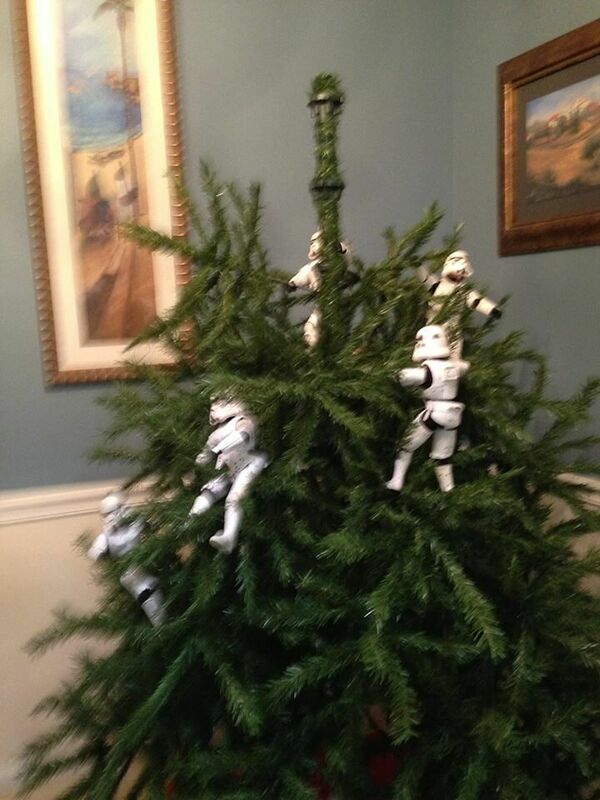 The support from everyone has been overwhelming, I have yet to see a single negative comment (Besides one guy who really hates fake trees for some reason) from anyone and this whole experience has been a blast! 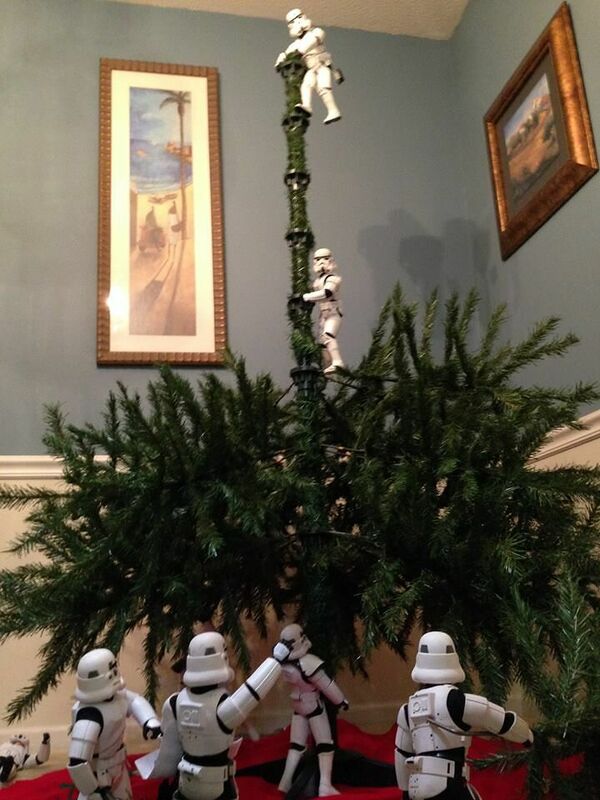 Dad and I have had so much fun sitting and reading all the comments from everyone, thanks to everyone who shared and commented and helped make this post what it is. 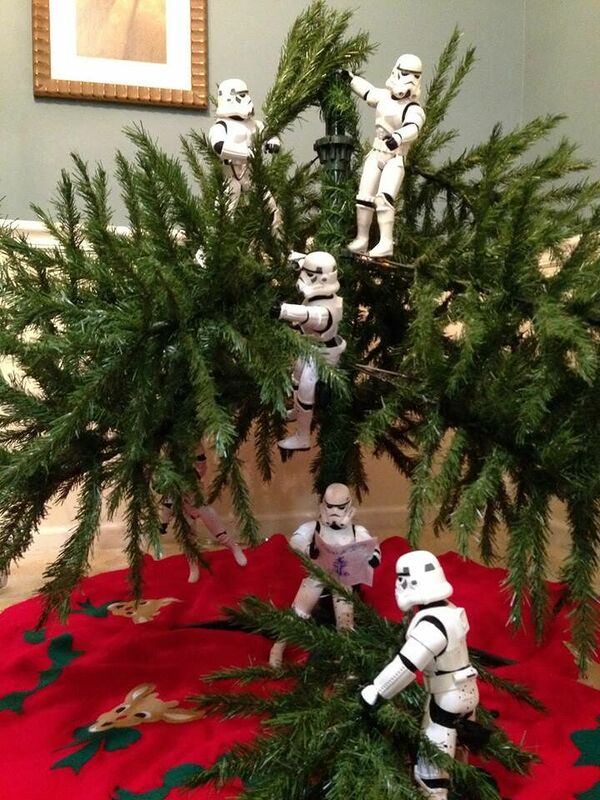 Merry Star Wars Christmas, Happy Holidays, and May The Force Be With You! 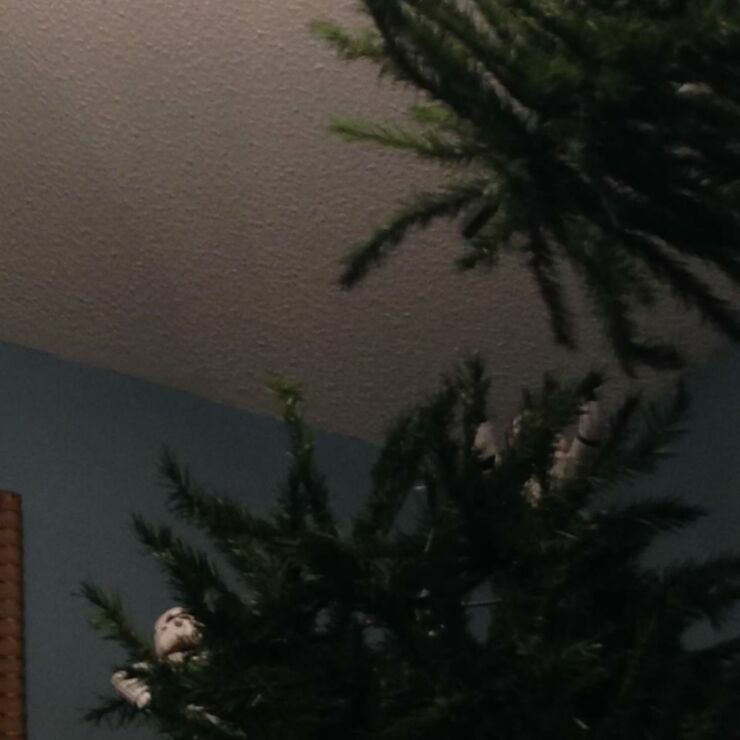 Check out Kyle Shearrer's photos below.